This page shows the latest BK Digital news and features for those working in and with pharma, biotech and healthcare. 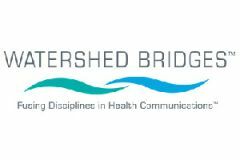 Members of Watershed Bridges include wethepeople, BK Digital and MaxAscent. Nearly a dozen healthcare communications agencies have joined forces to form a new transatlantic 'micro-network' that aims to enrich the ... BK Digital and Midnight Media Group.